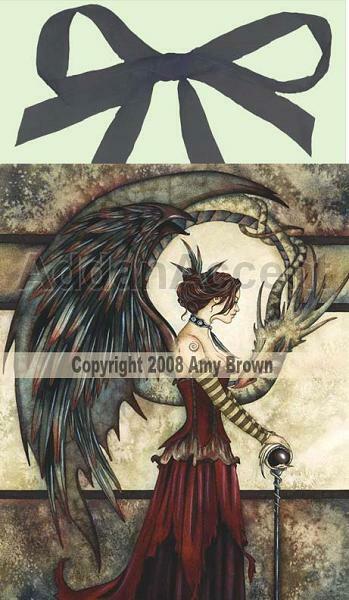 In this lovely artwork, an angel woman stands in front of a curled dragon. The fae has a gown of deep red, and her wings are done in shades of black, brown and gray. Her arms are clad in striped sleeves and she rests her hands upon a dark orb. 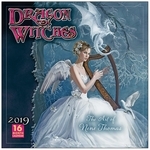 This item features the fairy & Dragon art work of Amy Brown. It is an 8" X 10" ceramic tile with a full cork backing and two recessed hangars that fold flat for countertop use. A beautiful gossamer ribbon is included for hanging.